Champion Energy Blog - Powering Life. Powering Business. Powering Champions. Champion Energy is committed to the community and charities we support, as we work to power lives and power businesses. The Champion Scholars scholarship program was created to recognize those that feel the same way. We received over 4,000 applications, from students in Texas, Pennsylvania, New Jersey, Illinois, Ohio, Massachusetts and Delaware. Brooke is the recipient of a $5,000 Champion Scholars award. Brooke attends Red Oak High School where she succeeds in and out of the classroom. Brooke is involved with Student Council, the art club, debate team, and soccer to name a few. She will be studying Nursing at the University of Texas at Austin. Luke is the recipient of a $3,000 Champion Scholars award. Luke attends Cypress Ranch High School and has been active in many volunteer efforts, especially in the aftermath of Hurricane Harvey in helping those in need. Melody is the recipient of a $2,000 Champion Scholars award. Melody is active with FFA (Future Farmers of America). Additionally, she has volunteered with the Salvation Army, local nursing homes, animal shelters and more. She will be studying Land Surveying at Oklahoma State University with ambitions to attend law school in the future. Learn more about Champion Energy’s commitment to community service. This entry was posted in Community, Inside Champion on May 4, 2018 by Champion Energy. 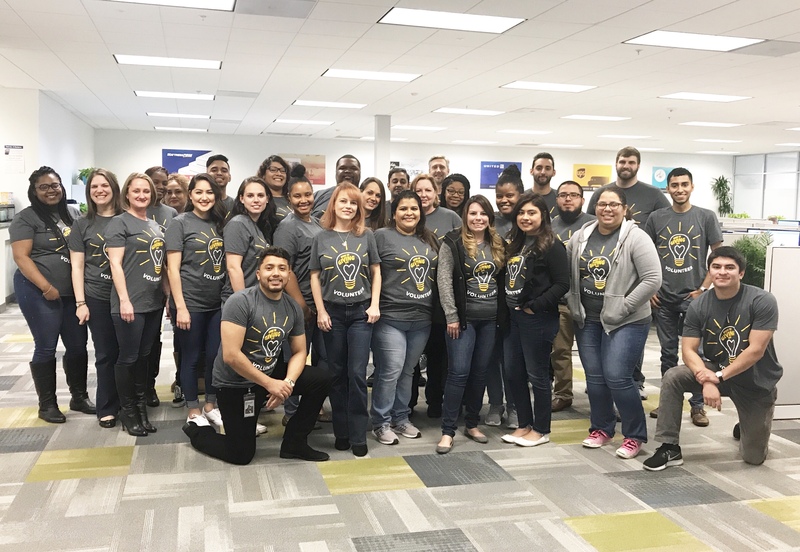 This week Champion Energy donated 200+ volunteer hours and $15,000 to three Houston area charities – Houston Food Bank, Kids’ Meals and Houston Pets Alive! We recognized these groups as being Community Champions during Hurricane Harvey. http://mlb.mlb.com/hou/foundation/volunteer/ The Astros Foundation Volunteer Corps sponsors volunteer projects across the city. Bonus! Free Astros tickets and Astros merchandise when you volunteer. This entry was posted in Inside Champion on February 16, 2018 by Rebecca Bridges. Champion Energy is about more than just electricity – we’re about powering life and powering communities. During our 5th Annual Week of Giving February 12-16, 2018, we’ll donate 300+ hours of community service, and donate $15,000 to not-for-profit organizations. This year’s charities have been selected from the many supporting our community as it recovers from Hurricane Harvey. We are #HoustonStrong! Learn more about our Champion Energy Community Initiatives from your Houston and Texas Electricity provider. This entry was posted in Community, Inside Champion on February 12, 2018 by Rebecca Bridges.